This unique edition by Ulla von Brandenburg was created on the occasion of her first solo exhibition at IMMA in 2008. Designed by Clemens Hanicht, this deck of 79 playable tarot cards was directly related to a work in the exhibition. 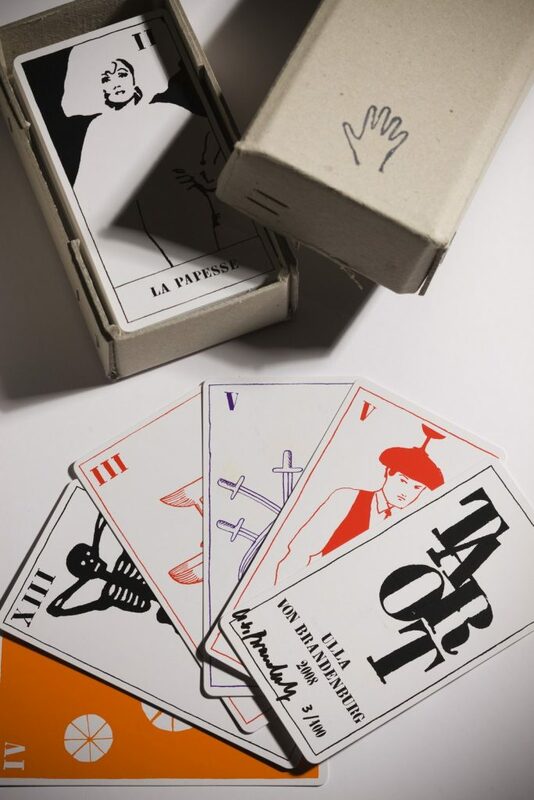 The cards are presented in a special hand made box designed and produced by the artist.